Clutch cilinder master. 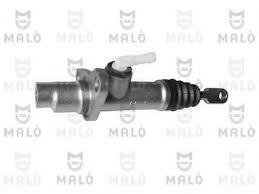 Suitable for Biturbo - 222 - 224 - 228 - 418 - 422 - 424 - 430-Spider Z - Ghibli. Clutch cilinder, slave, fits only on ZF gearbox. Suitable for Biturbo - 222- 224 - 228 -418 - 422 - 424 - 430 - Spider Zagato. Only for ZF gear box. Original Sachs clutch device for the 3200GT. Without clutchplate. 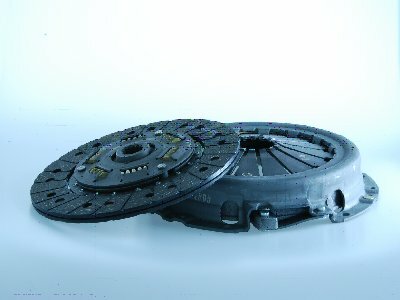 Original Sachs clutch device for the Maserati Quattroporte 3.2, V8. Without clutchplate. Clutch device 240mm. 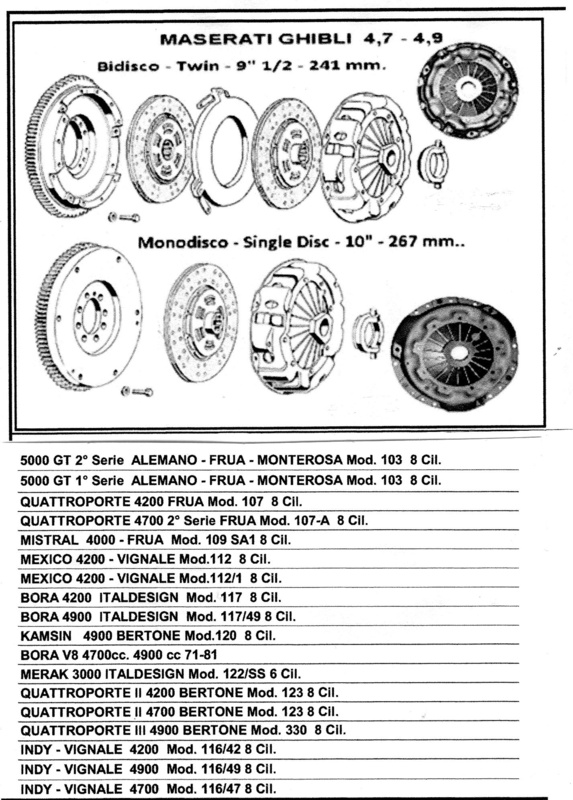 Without clutch plate.Only voor Maserati's with Getrag gearbox. Suitable for 224 - 424 - 430. Clutch device original Sachs Maserati Ghibli (GT) 2.0 and 2.8. 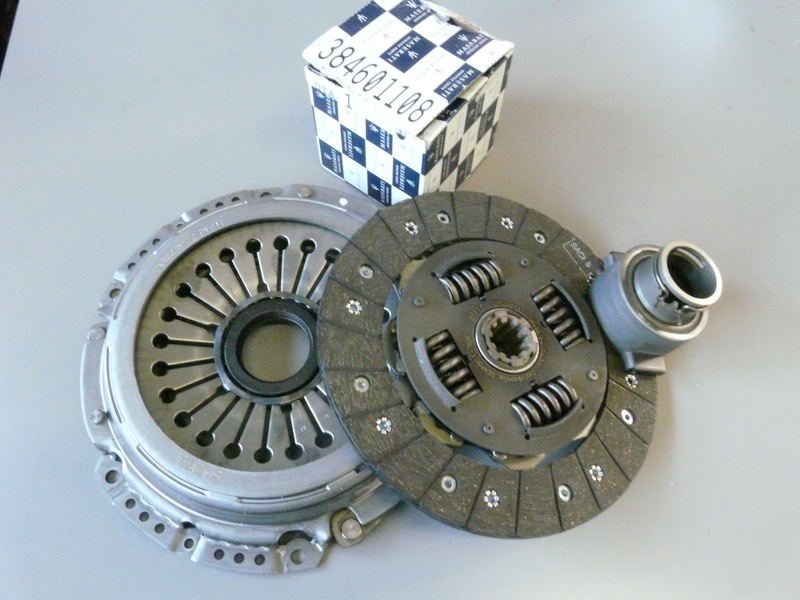 Clutch device for the Maserati Ghibli (GT) 2.0 and 2.8. Without clutchplate. Clutch device, 240mm. Without clutch plate.Suitable for 224 -228 - 424 - 430 - Spider Z. Clutch hose, Maserati Biturbo, 4.18, 422, 424, 430, 222, 224, Spider 18V, Ghibli etc. Original ATE. Clutch set. Contains clutch plate, clutch device and thrust bearing. Clutch plate 215 mm, only the plate. Original clutch plate Getrag, suitable for the Maserati 24V engine: 224 - 424 - 430. Without clutch device. Type with Getrag gearbox. Original Sachs clutch plate, suitable for the Maserati 3200GT. Without clutch device. Original Sachs clutch plate, suitable for the Maserati Quattroporte 3.2, V8. Without clutch device. Original Sachs clutch plate, suitable for the Maserati Quattroporte V6, 2.0 and 2.8.Afbeelding is afwijkend. Original clutch plate Sachs (240 mm), suitable for the Maserati 24V engine: 224 - 424 -430 - Spider Z. Without clutch device. Type ZF gearbox. Clutch set complete Ghibli (Gt) 2.0 and 2.8. Clutch set original, picture . Contains clutch plate, clutch device and thrust bearing. Clutch set 240mm, complete. Contains clutch plate, clutch device and thrust bearing.Suitable for 222 - 224 - 228 - 424 - 430 - Spider Z. Clutch set original, picture . Contains clutch plate, clutch device and thrust bearing.Suitable for Quattroporte 1, 4200 and 4700 cc. Original Sachs clutch set. Contains: clutch plate, clutch device and thrust bearing. Suitable for the 3200GT. Original Sachs thrust bearing for the Maserati 3200GT. 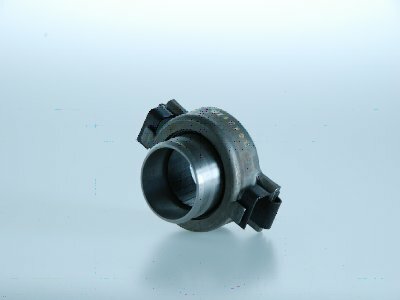 Original thrust bearing for the Maserati Quattroporte V8 3200. 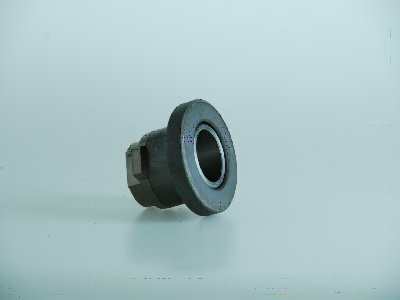 Thrustbearing original Sachs, suitable for Biturbo - 222 - 224 - 228 - 418 - 422 - 424 - 430 Only ZF gear box.